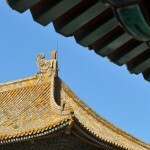 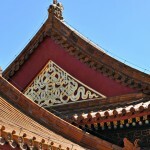 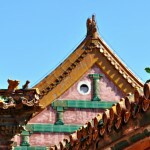 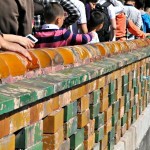 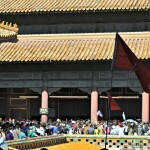 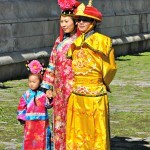 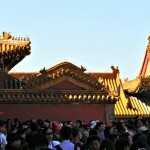 « Day 130 in Beijing: Forbidden City, Part 2. 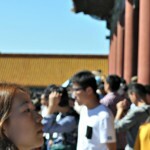 Day 131 in Beijing: Forbidden City, Part 3. 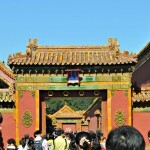 I’ve now gone to the Forbidden City twice. 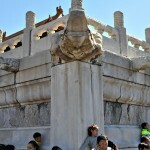 Even though I didn’t see as much of the City as I did last time, the experience of sharing it with Jeri, Jill and 10,000,000 of my closest friends from China made this an incredible event that I will never forget. 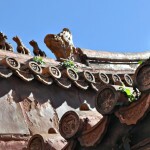 A water spout with people on their cells. 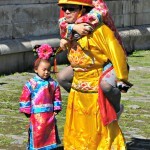 Little did the Emperor guess what would happen. 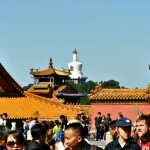 The White Pagoda off in the distance. 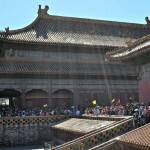 Sunlight streaming through the Forbidden City. 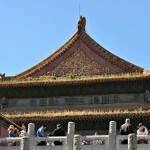 I love the plants growing on the roof. 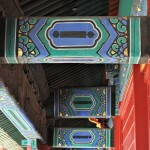 So many different colors and textures.